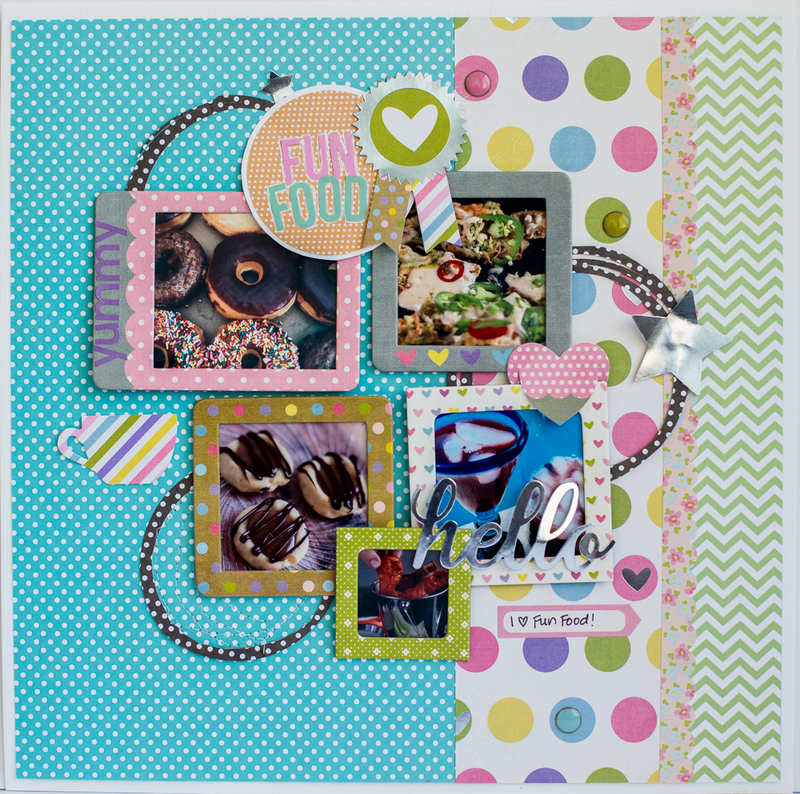 Since my photos had a horizontal rather than vertical orientation, I rotated the sketch 90 degrees to the left and came up with this layout using Simple Stories Say Cheese II collection. 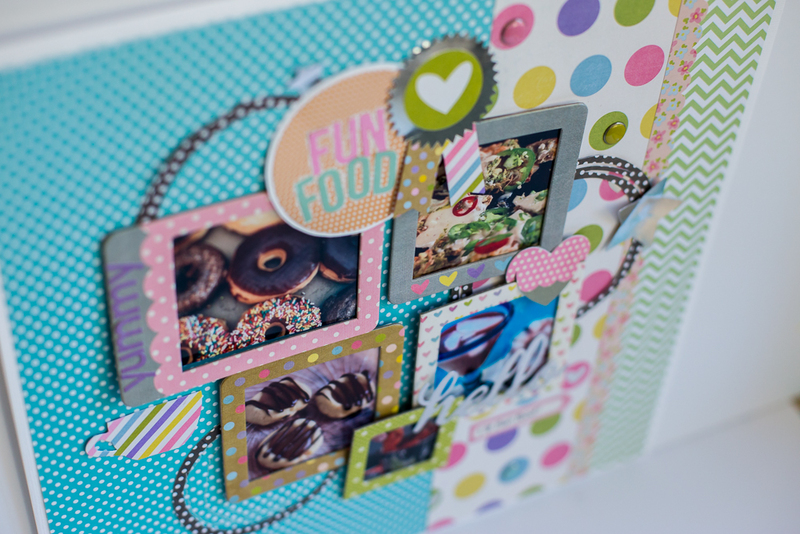 I loved layering the various patterned papers and the embellishment placement and circular title spot. This time I stayed very true to the sketch. 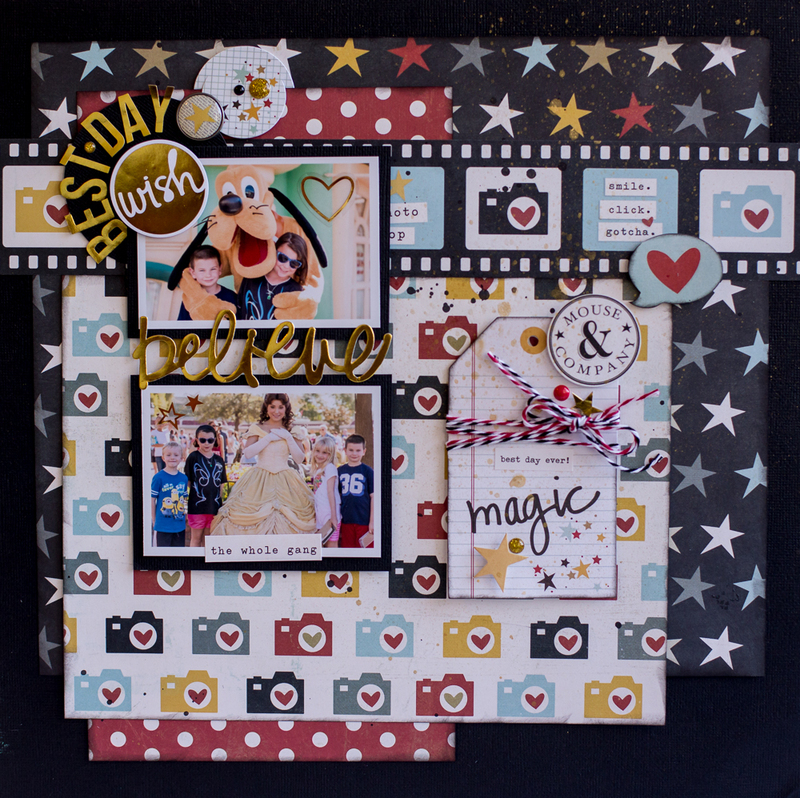 I used Simple Stories SN@P and Enchanted collections. 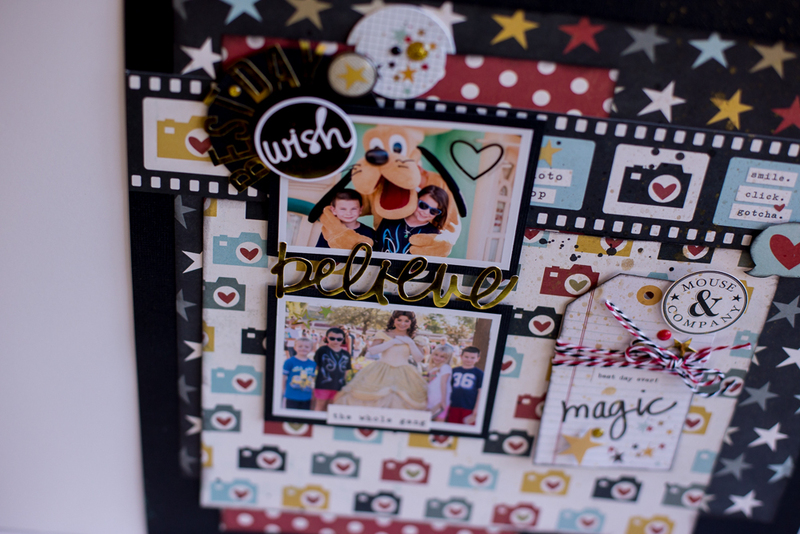 The Enchanted Chipboard frames were perfect to highlight all the mini photos. 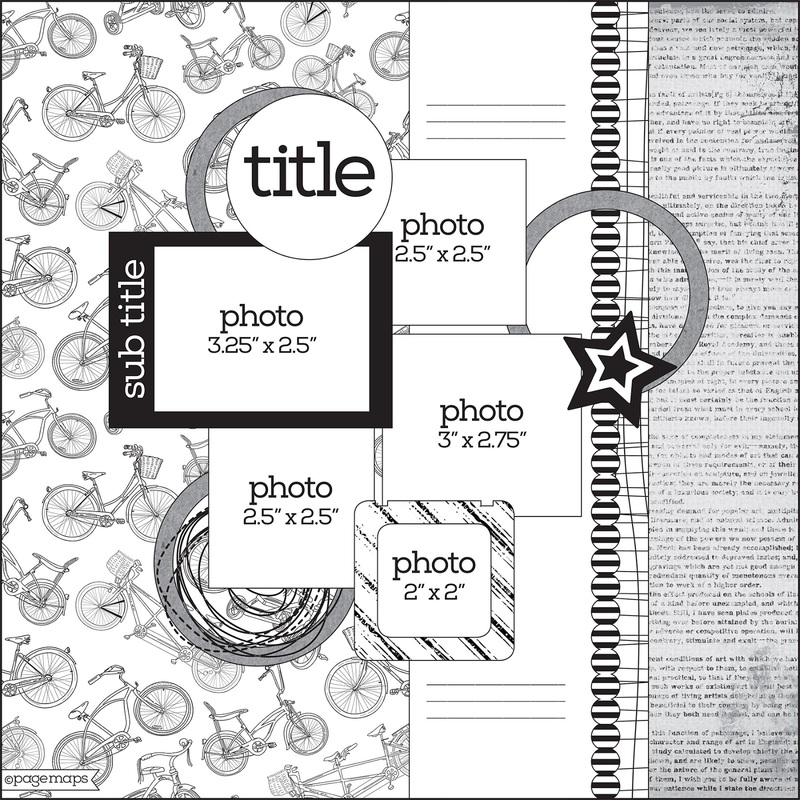 If you love Simple Stories collections, you will love playing with PageMaps because Becky includes tons of fun embellishments and layers in her sketches. these are some FUN takes from the sketches! !